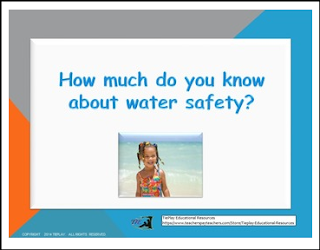 Free water safety slideshow for students and parents with information from the Red Cross. This presentation includes links to a water safety quiz, optional presentation directions and printable Red Cross handouts in English and Spanish. Water safety is so important to know.